If you have watched any other sport stream on tsmplug you will know the drill, if you are newcomer all you need to do is bookmark this page and comeback here 30 minutes before the start of every match. We will be updating the upcoming match schedule with time below and place the stream right here atleast 30 minutes before the start of every match. There will be total 38 matches in the men’s category and 38 matches in Women’s class and we will try to provide live stream links to as many games as possible. The men’s tournament have 30 group games while there will be playoffs for 5th to 12 place finishes and than we will have semifinals and the big final which will be played on 15th june just after the 3rd place playoff. We will keep updated the match schedule above with time and live stream links just before the start of every game, there is also official FIH youtube channel which will be streaming match live in different parts of the world. 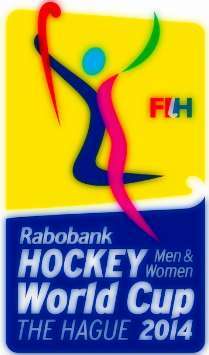 13th Field Hockey world cup will be taking place in Holland starting from 31st May and we will be putting live streaming links for every match right here throught the tournament. Both Men’s and Women’s competition will be taking place at the same time and below you will find live streaming links to the matches in both categories.